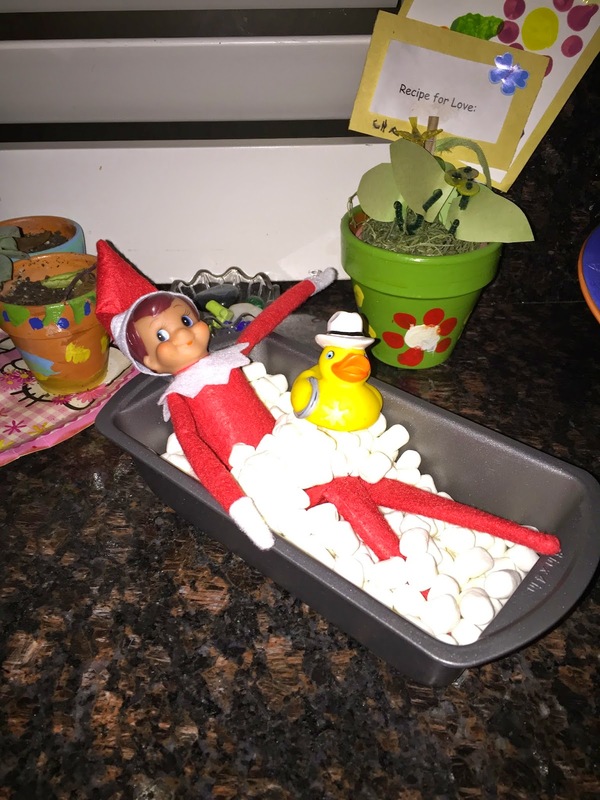 Thirty Fingers and Thirty Toes: Splish Splash, Elfie's in the Bath?? One of the things I am most grateful for each Christmas is that my kids were too old for elf on a shelf when he made an appearance. I think it's adorable and I give serious props to the parents who take on the obligation but I am WAY TOO LAZY to want to regularly move an elf. Every day. For a month. And not only that, Julir, she gives them marshmallow bubble baths!